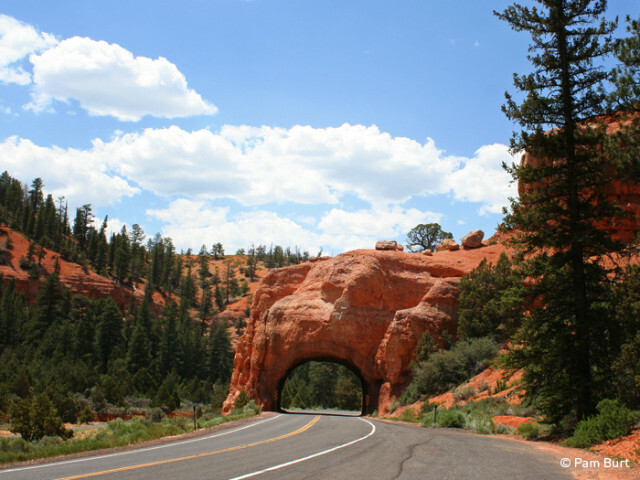 The Boulder Loop begins and ends on Utah Heritage Highway 89 but changes its route through amazing and breathtaking By-Ways 12 and 24. 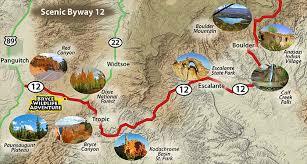 Scenic By-Way 12 is considered by many as one of the most beautiful highways in the world. 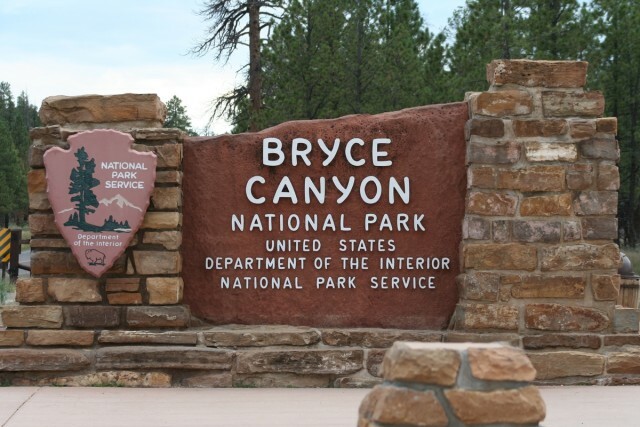 Here you will discover the areas of Bryce Canyon National Park. 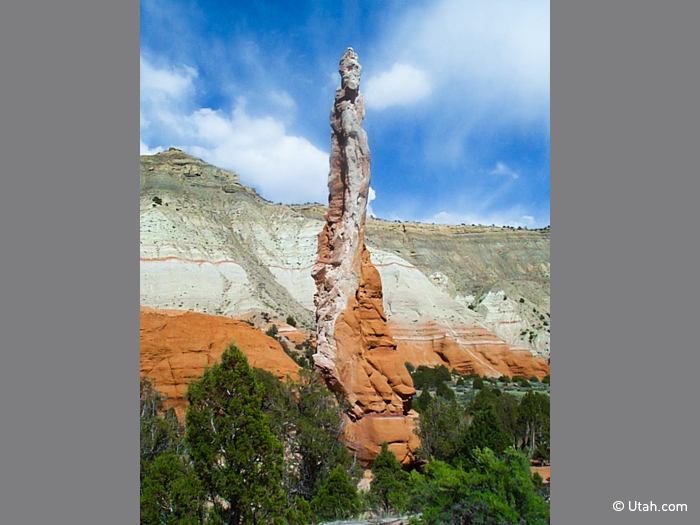 An awe-inspiring and memorable experience awaits you on the journey through the Grand Staircase and the Canyons of the Escalante, Anasazi State Park Museum and Escalante Petrified Forest State Park. As you venture through the Scenic By-Way discovering the most isolated towns in not only Utah but in America will add to your experience of Utah’s charm. Excitement and delight will abound you as you visit the local artists, potters, and woodworkers will astound and amaze. 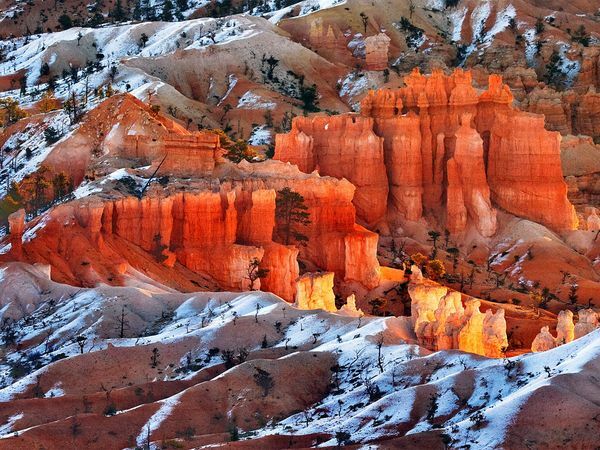 Hoodoos, horses, stargazing, and geology lessons are just the beginning of your adventure in Bryce Canyon National Park. Here you might want to spend a week or get an introduction for a future visit. 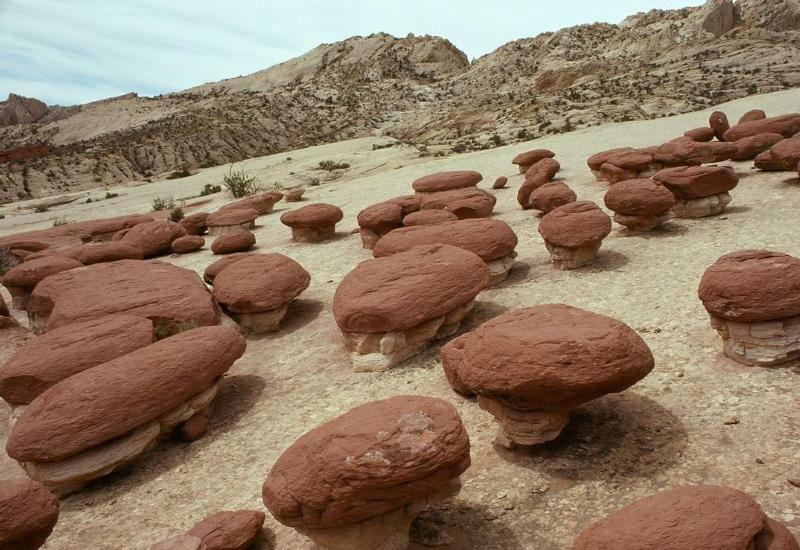 View the archetypal “hoodoo-iferious” terrain. These odd-shaped rock pillars that have been formed due to nature and time erosion are next to impossible to truly describe. Not only will you be amazed by the hoodoos, you can also experience a forest of stone and a cave without a roof. Thor’s Hammer is a favorite site in the park. Inside the Boulder Loop, there is something exciting and amazing for all ages. Horseback trails, hiking guides, telescope stargazing, moonlit guided tours, ranger programs, junior ranger program and the shuttle system are all within the Bryce Canyon National Park Service. Virtual Auto Tours are a welcome tool to plan your trip to the National Park. 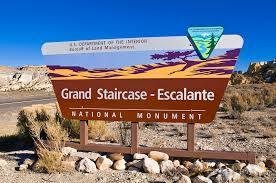 The Grand Staircase-Escalante National Monument encompasses almost 9 million acres of America’s public land. This is the only National Monument under the direction of the BLM. These picturesque cliffs and terraces spans the rugged Kaiparowits Plateau, to the majestic wonders of the Escalante River Canyons. The uniqueness of the Monument thrills and delights the first time visitors, awe-inspires historians, fascinates the biologists involved in scientific research, excites the paleontologists, provides incredible opportunities for the archeologists, geologists marvel in the formations of Neon Canyon, and are astounded with the unlimited exploration and educational opportunities. This is truly a place of interest for everyone. You will be tempted to succumb to a guided horse pack trip or want to schedule a 4-wheel vehicle trip along the western cowboy trails. 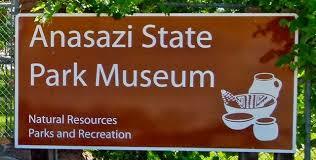 A fascinating and educational experience awaits you at the Anasazi State Park. 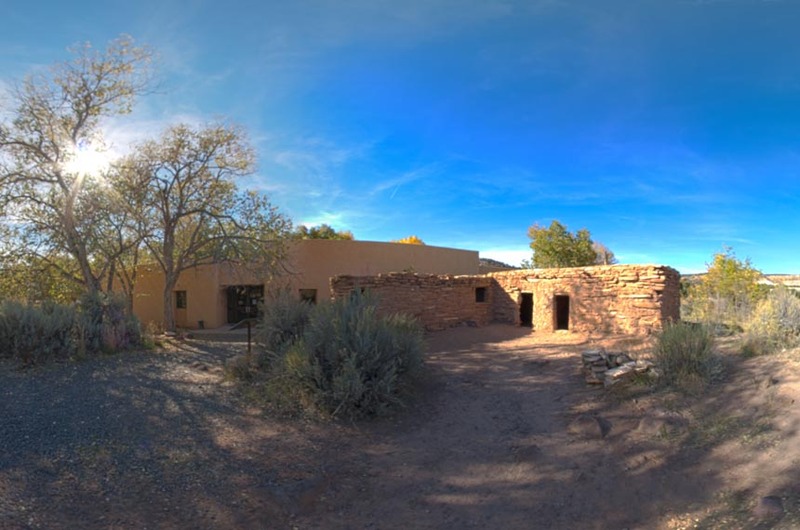 Here you will discover one of the largest Ancestral Puebloan (Anasazi) communities that can be found west of the Colorado River. This ancient Native American village is believed to have been inhabited around 1160 to 1235 AD and had approximately 200 persons housed here. The Escalante Petrified Forest State Park hosts large petrified logs, exhibits an array of dinosaur bones and marine fossils. 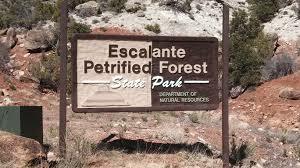 Located at the Wide Hollow Reservoir, the Escalante Petrified Forest State Park is an outdoorsmen’s dream. This reservoir is perfect of water sports, boating, fishing, and canoeing. 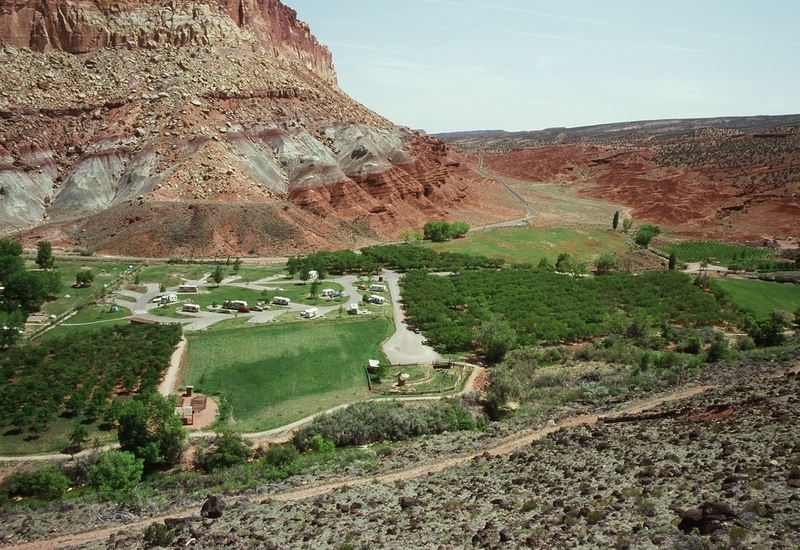 The park has many RV sites, a developed campground, a group gathering area, and an appealing picnic area. The marked hiking trail will take you on an wondrous adventure through the petrified forest. The Visitors’ Center contains remnants dating over 100 million years of dinosaur bones and fossilized petrified wood. Capitol Reef Country Scenic By-Way 24 extends nearly one hundred miles from Loa to Hanksville, through Capitol Reef National Park, Capitol Reef Natural Bridge, and Fruita Rural Historic District. 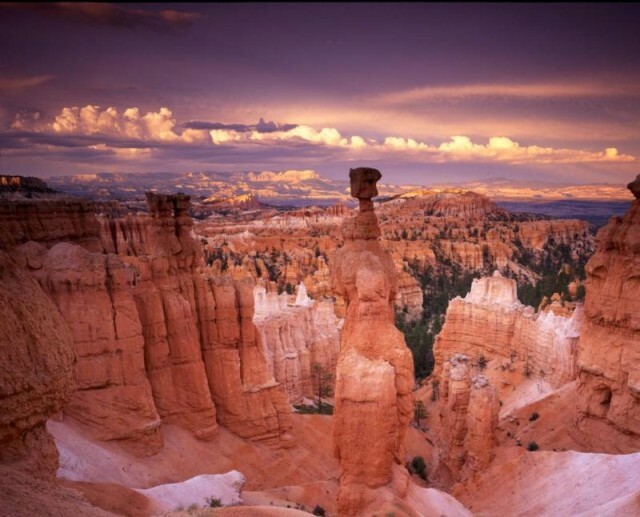 A spectacular must-see geologic monocline (a wrinkle on the earth) is situated in south-central Utah in the heart of the red rock country of Capitol Reef National Park. This mystifying setting will mesmerize one’s senses with hidden bridges, winding canyons, cliffs, and enormous domes in the Waterpocket Fold. Intrigued visitors have been awed with the monoliths and sandstone spires. The 10,000 feet of sedimentary strata is found here. The rocks have an age range from Permian, 270 million years, to Cretaceous, 80 million years. Offers a wealth of information for all; campers of all ages and passions find the perfect campsite that the park provides. This area was not explored until 1872 when Mormon settlers took up residence in the high plateau lands west of Capitol Reef. There they established communities for short season animal grazing and farming. The origin of Fruita was located at the junction of the Sulphur Creek and the Fremont River. The first landholder was Nels Johnson. There were not more than 10 families that resided in this community. 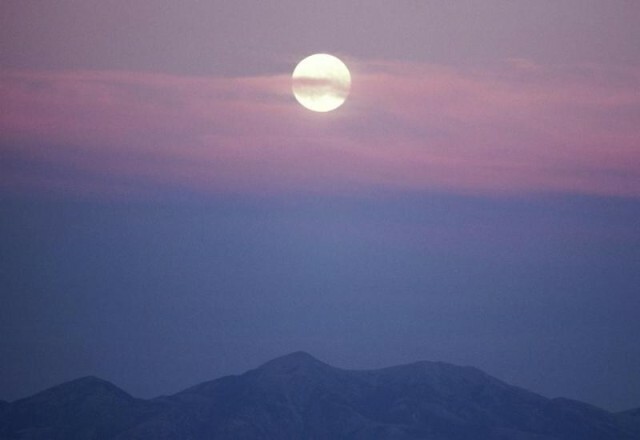 It was known for its orchards, but the Mormon settlers grew sorghum, vegetables and alfalfa. Price and Richfield greatly benefited in the fruit crops as the fruit growers would harvest the fruit before maturation and hauled their crops via wagons heavy laden with the bounty of their labors. 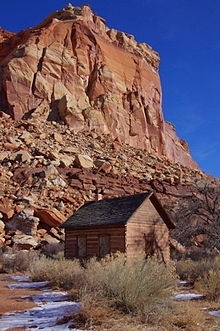 Fruita was one of the most isolated communities in America before the middle of the 20th Century. Follow Mormon Pioneer National Heritage Area’s board Boulder Loop on Pinterest.